How many of you consider yourself a worrier? How many of you consider yourself to not be much of a worrier? I come from a long line of worriers! Personal story of worry or anxiety? Worry when Angelia doesn’t answer or text back within 5 minutes, worry about the kids, worry about failure, or saying the wrong thing. I worry about if I am making a difference. What is the last thing you worried about? Anxiety disorders are the most common mental illness in the U.S., affecting 40 million adults in the United States age 18 and older, or 18.1% of the population every year. Current estimates put this number much higher – approximately 30 percent – as many people don’t seek help, are misdiagnosed, or don’t know they have issues with anxiety. Anxiety disorders cost the U.S. more than $42 billion a year, almost one third of the $148 billion total mental health bill for the U.S.
Another report found that more than half of college students sought help for their anxiety issues. Research has found that anxiety can impede learning, which often leads to lower academic achievement and performance. 1 in 13 globally suffers from anxiety. The past two weeks we have been talking about how Jesus calls us to handle our stuff – our time, possessions, and money. At the heart of what Jesus is trying to help us understand is that whatever we have been given, we need to use it for God’s purposes in our world. As God speaks to us, we need to be obedient to what he asks. One of the driving forces in our quest for security is worry, anxiousness, and fear. We try to eliminate our anxiety by securing the things we are anxious about. Today’s words of Jesus are tied to the last two weeks and summarizes the ‘why’ regarding his teaching on material wealth and possessions. are? 27 Can all your worries add a single moment to your life? Our life is spiritual and material. Worry does not add to our height, age, or life-span. In fact, it can detract from it. Simplicity of trust! We can trust that God knows our needs and will meet them. Child-like faith. When I look at Maisie and Hendrick, they are fearless. We would say that they do not know better. But in reality, they are fearless because they have not had the time in their little lives to experience various things and effect their natural propensities. It is so easy for us as we get older to reflect on our life experience and talk ourselves out of truly being people who trust. And in the absence of trust, we have much to worry about. We must work for our living. God provides through normal means of farmers, millers, market gardens, fishermen, butchers, grocers and the rest. God provides but we must co-operate. We have a responsibility for others. If God promises to feed and clothe, why is that there are so many in our world who are malnourished and naked? The earth and sea produce ample resources to feed and clothe every person. But people hoard or waste these resources. USDA estimates that between 30%-40% of all food is wasted. 133 billion pounds and $161 billion worth of food in 2010. This amount of waste has far-reaching impacts on food security, resource conservation and climate change. The amount of food thrown away in the United States in 2012 would have been enough to feed 190 million adults every day that year. This is not a problem of inadequate divine provision but of inequitable human distribution. No one is exempt from experiencing trouble, including believers in Christ. Being free from worry and free from trouble are not the same things. There will be trouble each day so why worry about it? Freedom from worry is not a freedom from trouble. When we are anxious, we are upset in the present about something that might happen in the future. Many worries, perhaps most, never materialize so then worry is a waste of time, thought, and nervous energy. Jesus is calling us to a broader love for others and deeper relationship with Him. Verses 32-33 call us to a higher ambition. Our worry is driven by what we seek – our ambition. Our ambition can focus on material things which will lead us to worry. We should energetically seek spiritual values and the kingdom righteousness of God, not material things, or food and clothing. God’s Kingdom is people who have Christ ruling in their hearts. Seeking this Kingdom is the desire for Christ and for the spread of His ruling in people’s hearts. Such a desire will start with us personally with our life – home, marriage, and family, personal morality, professional life and business ethics, finances, lifestyle. It will lead from our personal lives then to our immediate environment – relatives, colleagues, neighbors, friends, and extend beyond. Seek the Kingdom and live righteously are said for us to embrace our evangelistic and social responsibilities, much like the ‘salt and light’ metaphors in Chapter 5. The Gospel of Jesus Christ must be preached, heard, and obeyed and it must get lived out through engagement in social action. I wanted to be a NBA basketball player. Then I wanted to be a vocal artist. I pretty much wanted to do anything but ministry but eventually I surrendered to His will for my life. There are really only 2 ambitions that we can seek – self-centered ambition and God-centered ambition. We are either concerned about my comfort, my wealth, my security, my status, my power or we are concerned about loving our neighbor, feeding and clothing the needy, using what we have been given for the glory of God. We should be eager to develop our gifts, widen our opportunities, extend our influence, get that promotion at work, and get the raise so that God can receive glory and not for some ego boost or selfish accumulation. How can we be free of worry? 4 I prayed to the Lord, and he answered me. He freed me from all my fears. 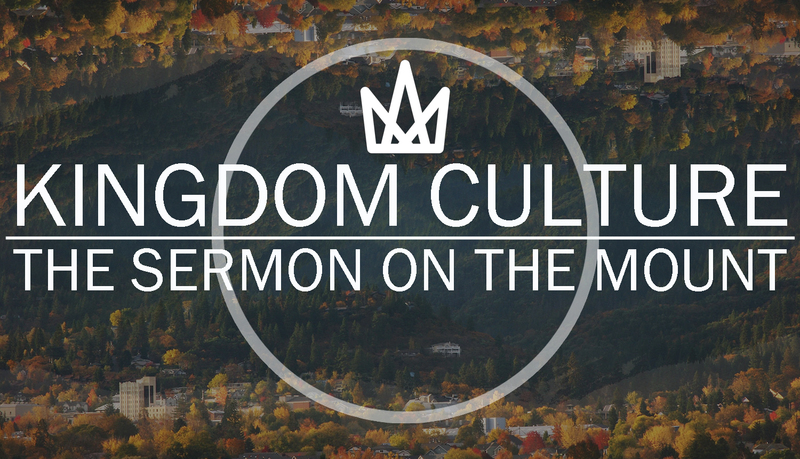 What does all of this have to do with Kingdom Culture? God’s grace meets us right where we are but often we do not go to God’s grace. We go to lots of other things. We worry about things that we care about. It’s not a question of emotion, it’s a question of devotion. What we are devoted to will be what keeps us up at night worrying. Jesus has just told us not to try and store up wealth on this earth where moths and rust destroy or thieves steal. Because He knows that when we work on securing our earthly lives that are hearts are consumed with things which causes us to worry. Worry is a warning signal that our hearts devotion has begun to shift. Life is more than any human relationship (who am I going to marry? ), more than what is in your bank account, more than what clothes you wear, or what food you eat. Too often we get caught up in the daily problems that we lose sight of the big picture. Oh you of little faith…do you trust me? Lent is a time where we take off something or give something up so that we can pick up something. When we consider our ambitions, the things that concern us, what does God desire for us to surrender so that we can become more of who He is calling us to be? What do you spend your time, your thoughts, and money on? What priorities of your life are revealed through this reflection? What do you find yourself worrying about? What would it take for you to not worry about those things?